I, myself has been a wedding and travel photographer for so many years by carrying that heavy DSLR and camera lens whole day long just to capture precious moments for clients, friends and even family. The DSLR itself is already heavy but it gets much heavier especially when you attached it with a 70-200mm zoom lens. Well, everything was great until I find that I get severe back ache every time after I finished the photoshoot. Just imagine you are shooting for a wedding since 5am in the morning until 11pm, end of wedding dinner. It was a long working day by carrying heavy "weights" around you. I just ignore my back ache until one day my jaw was dislocated when I yawned. It sounds funny but you will know it when you close your mouth you feel that your teeth couldn't meet each other properly. No matter how hard I try to push my jaws back, it is still there and I felt uncomfortable with it. That's when I decided to visit my friends Chiropractic Centre in SS2. To fix both my dislocated jaws and find the possible cure of my back ache. What is Gonstead Adjustment System? "The Gonstead Concept of chiropractic begins with a basic biomechanical principle of physics. Every engineer, architect, builder and carpenter knows the importance of a proper foundation in constructing a building, for this insures durability and long life. Any slight change or shift in the foundation can cause a great amount of deviation in the top part of the structure and, perhaps, ultimately, its collapse. 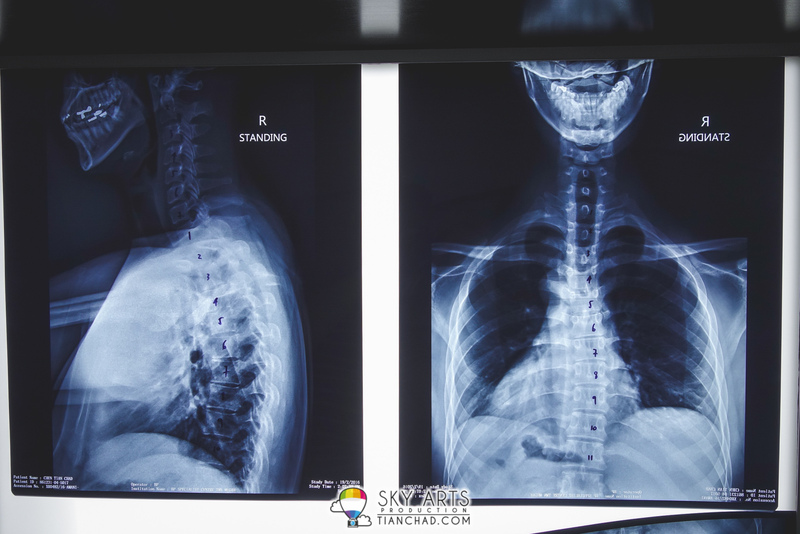 For complete and lasting results, all of the misaligned vertebrae must be identified and then a program can be initiated to restore them to their normal position. Every chiropractic case presents a different combination of misaligned vertebrae. At first, I made an appointment with Dr. Sean Lee, the gonstead chiropractor in Malaysia through their FB Page. During my first visit, it was hard to find parking especially in SS2 area. 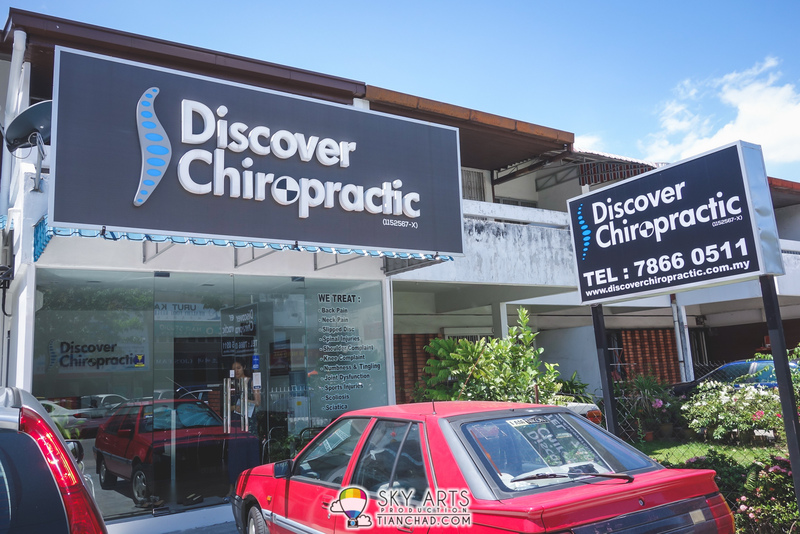 There's actually four parking spaces right in front of Discover Chiropractic SS2 so you can actually park there. You might need to move your car first if it blocked someone's car. Luckily they do provide Uber services for customers' convenience. That's Shemane Lee who will always greet you with a smile. She will be the one 'who assist Dr. Sean Lee on appointment scheduling and booking of the Uber/Taxi for you. 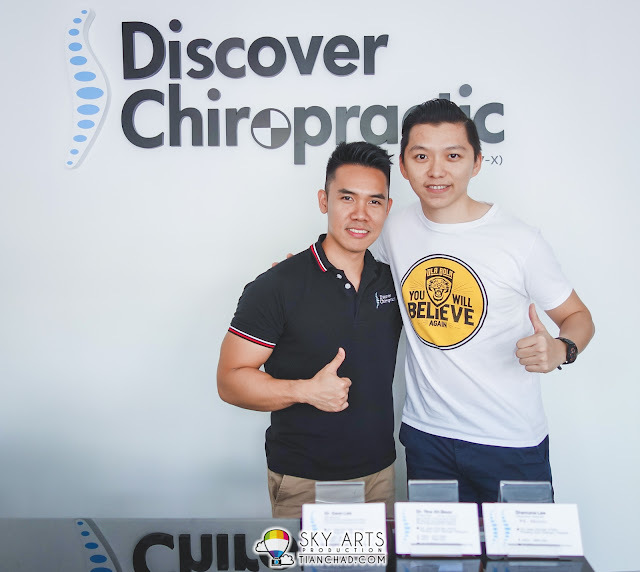 Dr. Sean Lee is a Gonstead Chiropractor in Malaysia who specialized in treating neck pain, back pain and joint related dysfunctions. It was rare for him to fix jaws dislocation but he is experienced with it. Dr. Sean Lee is also a personal trainer with several certifications too. You can see it from his physique. Sean actually stumble upon Gonstead Treatment when he injured himself during gym time. After he has recovered, he decided to further learn about the Gonstead methodology to help more people who injured their back, arms and joint related injuries. 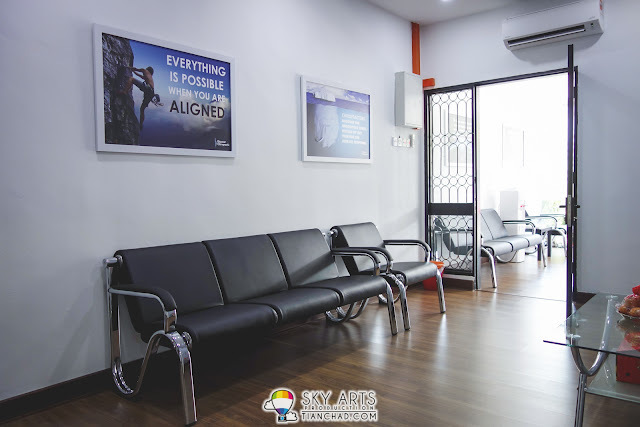 The waiting area in Discover Chiropractic SS2 is spacious and you would want to sit inside here as the weather is really hot. There's a water dispenser if you feel thirsty. Dr. Sean Lee will first consult what's your main complaint and symptoms. He will then assess related body parts and continue with X-Ray Analysis (if needed) before any gonstead adjustment is being performed. 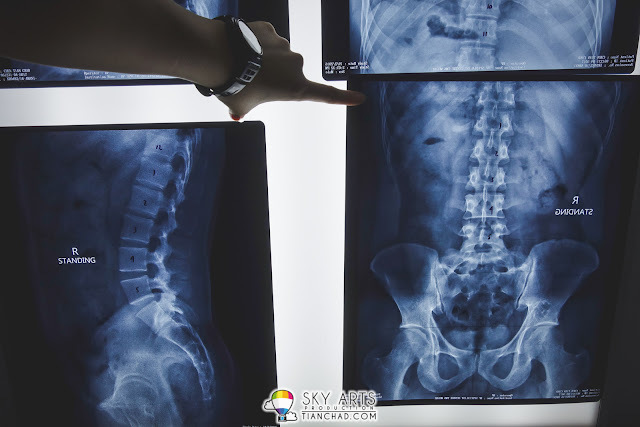 After the consultation, Sean advised me to go for a full spine X-Ray scan at nearby hospital so that he can have a better analysis of my whole spinal cord problems. After assessment, Dr. Sean found out that were was a problem on my T4. That's where I felt my back pain everytime after I finish a photography assignment. You can also see when I opened my jaws it tends to go to the right. X-Rays of my body lower part, the tail bone area is slightly tilted to the right. After all the required analysis by Dr. Sean Lee, he decided to do a double check again using the palpation before doing the "magic crack". I am not sure what's the proper name for it but that's how it feels like when he did the gonstead adjustment. You will feel relieved when you heard that "cracking" sound that somehow remove the pain from your body. Since it is advised not to do all spinal gonstead adjustment at once (need to do it steps by steps so your body can handle the changes), I did my first treatment and followed-up with another two appointments. As a result, my jaws is aligned back again and my back pain has been relieved so much. I also changed my camera bag into a triangle sling bag so my shoulder and back is sharing the heavy load instead of stressing one side of my body. Dr. Sean Lee said I should come back for another follow up after two months just to make sure it is all right and fully recovered. 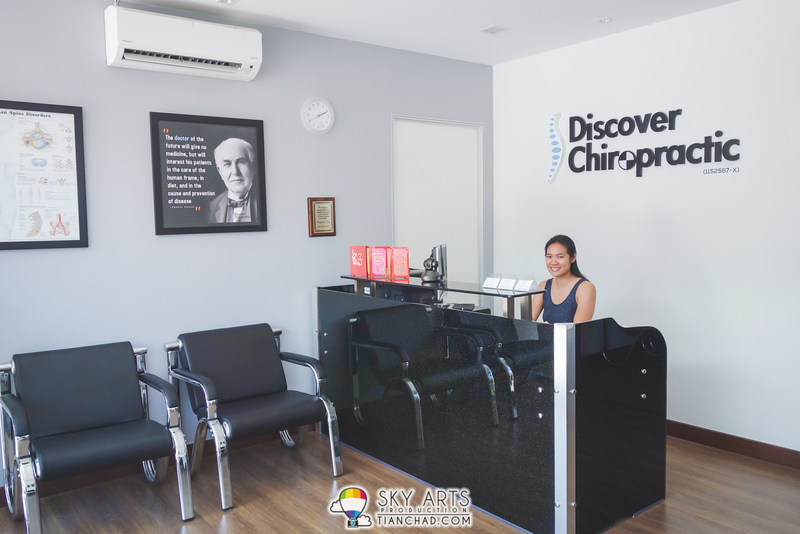 IS IT PRICEY TO DO GONSTEAD CHIROPRACTIC TREATMENT? Well I would say it depends on how you value it, if it can remove my back/joint pain for years with just a few treatments. I am happy with it!! Just don't wait till you need to go for a surgery as it will definitely cost a bomb. HOW MUCH FOR EACH TREATMENT IN DISCOVER CHIROPRACTIC SS2? As of posted date, consultation fee is RM70. First treatment is RM180 and subsequent follow up is RM140. DO I NEED TO MAKE APPOINTMENT? OR I CAN JUST WALK-IN?? Thanks Dr. Sean Lee for making me feeling fresh again!! 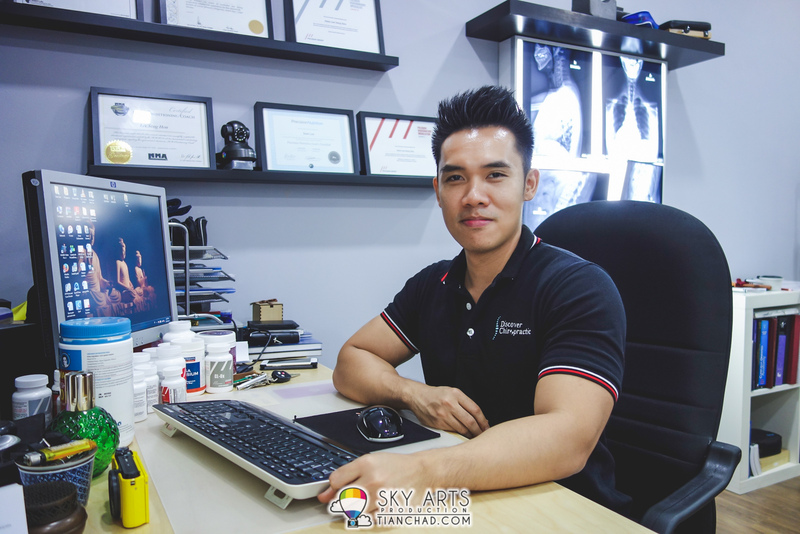 Here's a special offer for readers of TianChad.com, if you read this and made an appointment with Dr. Sean Lee before 30th April 2016. Your spinal screening will be 50% off by just mentioning my blog url "TianChad.com". The best marketing is through words of mouth, so I am sharing something that benefits me and my health with you guys. 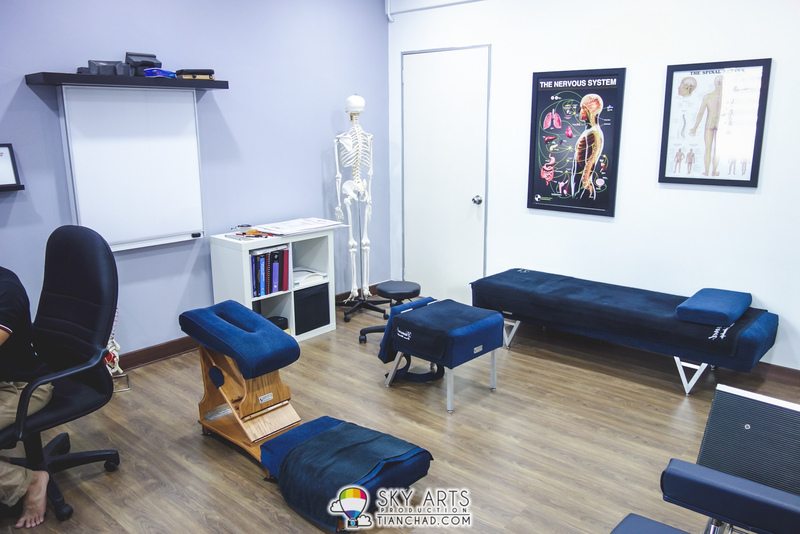 Go share the love if you think you need advice and treatment from a professional Gonstead Chiropractor in Malaysia. I've seen patient who came all the way from oversea just to have the right treatment with Dr. Sean Lee. For more information about Gonstead Chiropractic with Discover Chiropractic SS2, visit their official website or Dr. Sean Lee's FB Page for more details! !